Gather invaluable consumer data using intelligent, interactive marketing features. Create tailor made surveys, with smart branching technology that allows you to fully customise your survey routes, meaning you are in charge of who gets asked what. Gather in-depth customer data and find your results easily, or you could use our poll feature for quick one question feedback. Results are presented in beautiful, easy to digest charts. 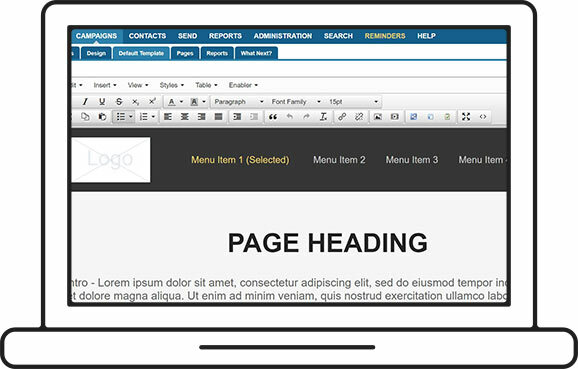 Create beautifully branded, fully mobile responsive forms in minutes with our quick and effective form builder. Integrate Enabler forms on your website for slick customer journeys and immersive experiences, or use them standalone within the Enabler platform. Collect enhanced customer data that syncs directly with your contact records. Discover the way to complete your campaigns with our fully bespoke landing pages. You can integrate imagery, copy, forms, videos, surveys and polls into the landing pages, which are totally customisable for your individual campaigns. Each landing page has it’s own URL, enabling you to create your own microsites. Use forms, surveys, polls and landing pages in association with your marketing campaigns to help perfect your customer journeys online, and cultivate your leads more effectively. 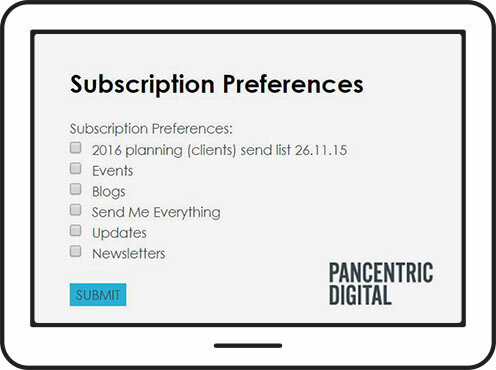 Embed these elements across your websites to collect data, update subscription preferences, create referral campaigns… and that’s just the start.